In a surprising and totally illogical…delightful turn of events, I’ve become a judge in Dark Globe’s most recent contest: The 2012 Dark Globe February Shoot Off. Click here to get all the details, but I’ll summarize for you. This is a contest for all you shutter-bugs out there–that means photographers for those of you not into picture-snapping. I may sound like a shutter-bug myself, but I’m not. 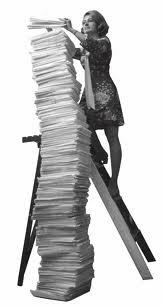 I just know lots of words. My qualifications as a judge are: I’m an awesome blogger (according to those who voted for me in Dark Globe’s last contest); I’m an artist, too, if you count the amazing things I can do with uncooked elbow macaroni, Elmer’s glue and gold glitter–not necessarily all at once; I can usually tell if a photo is upside down or right side up; and I said “yes” to DarkJade68’s invitation to judge (because I have a hard time saying “no” to DarkJade68 and several other bloggers–please don’t let that get around). I simply can't say "no" to you. I'll stop work on my memoir and judge your photo contest. Anything else you'd like? 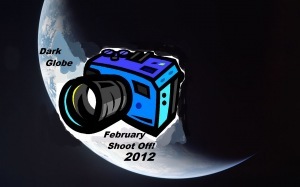 Submissions begin today (2/1/12) at Dark Globe’s site (which will be updated frequently) and end FRIDAY 2/10/12. All three winners will be announced on 2/15/12 after we judges have mud-wrestled…deliberated and decided. Each winner will receive bragging rights and a fancy graphic to paste proudly on her/his site. Get the word out so that my fellow judges and I can look at poop-tons of marvelous pictures and stay awake at night trying to decide which ones we think are the best ones. What’s an all-nighter when the pay-off is highlighting the art and finesse of photography? I’ll sleep when I’m dead. And If I get dizzy and fall off the ladder, don't feel guilty. I made the choice to do this. Just send donations to "The Scrappy Dog-Walker Benevolent Society." This could be interesting. I have few I’m thinking of. You’ll be a fab judge. MMmmmm … need to decide … that’s always the hard part. Hey I have a Scrappy too, but he’s a cat. A cool cat, but a cat. Have fun with the photo contest! Bank some sleep-hours before you begin because you can’t expire on us anytime soon. Not having Lornas Voice in our lives would leave a void. OK. Lorna just because it’s you I’m going to submit a photo (hope). And, again, if you fall off that ladder we’ll come to get Scrappy while you convalesce so you don’t have to worry about a dog walker. Haven’t I made this offer before? Why don’t you just let us have him so we don’t have to keep going through this? 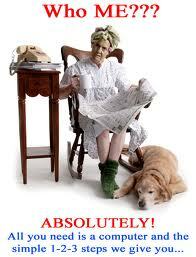 oh my goodness overtired that should read photo’s oh my !! Thanks! I had to put my Smarty McSmarterson touch on it.